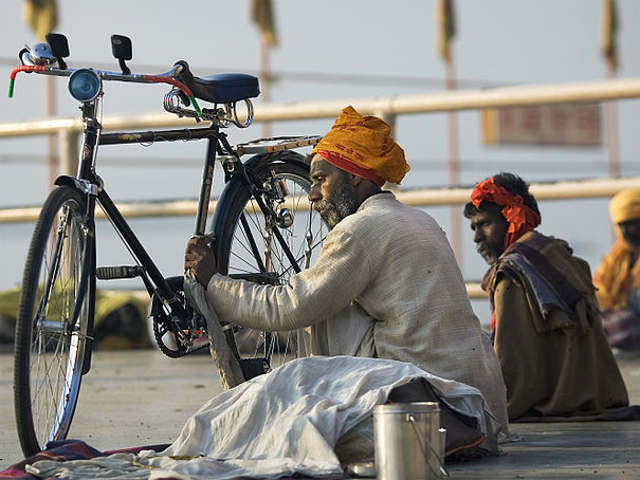 The bicycle holds promise as a sustainable mobility solution for Indian cities. By Jorge Royan. Rapid economic growth in developing countries has resulted in increased purchasing power among the people, which manifests itself in an ever-increasing number of private vehicles. This, in turn, is leading to greater traffic congestion; an increase in road accidents, some of which are fatal; and rapidly deteriorating air quality of the cities we live in. An EMBARQ India analysis of travel patterns in Indian cities reveals that 56–72% of trips are performed within a distance of 5 kilometers or less, which is ideal for cycling and bike-sharing networks. Public bicycle sharing is an innovative platform comprising short-term bicycle rental systems, at which bicycles can be picked up at any self-serve bicycle station and returned to any other bicycle station. Bike-sharing is ideal for need-based, point-to-point, short-distance trips and is an ideal alternative transport mode to complete the “last mile” of a journey. Public bike-sharing networks differ from traditional leisure-oriented bicycle rental services, in that they provide fast and easy access to bicycles, and can be used for daily one-way trips. Additionally, they do not place a burden of ownership on the user. The bicycle is both an alternative and viable individual transport mode and an extension of service for “first and last mile” connectivity between home or the workplace and public transport facilities — distances that may be considered too far to walk. Cycling has the important potential to influence all three elements of the Avoid-Shift-Improve strategy of sustainable transport and development in cities — explained here by EMBARQ Director Holger Dalkmann — by offering a healthy, eco-friendly alternative to motorized transport, while also promoting people-centric urban development. Bike-sharing is a flexible and low-cost form of personal public transport. Cycles are stored in a closely spaced network of stations. With a smart card or other form of identification, a user can check out a cycle from a station and return it to any other station. Typically systems across the world provide the first half hour free, and rates increase based on the duration of rental. The nature of the rate structure allows for rapid turnover, meaning that a single cycle can be used multiple times over the course of the day. Modern bike-sharing networks have the ability to track the identity of the user as a way of preventing bike theft. All users are required to furnish proof of identity, either at the time of registration or when signing up for temporary subscriptions. Credit cards can be used as a security mechanism if the user fails to return a cycle, a fine can be charged against the user’s credit card. The user’s account can also be blocked to prevent him/her from checking out other cycles. Entrepreneur V. Ramesh first brought bike-sharing to India in 2010, after witnessing its success in Barcelona, Spain. “The idea appealed to me so much,” Ramesh recalled, “that I quit my job in the financial sector and devoted the whole year to ground research for this project.” The FreMo system in Thane, a city outside Mumbai, in addition to the Cycle Chalao! System on Mumbai’s streets from 2010 to 2012 (see video below), demonstrated just how much potential bike-sharing could have for urban commuters in India. Successful implementation of a cycle sharing system requires meticulous planning and oversight on the part of the government. Most cycle sharing systems operate in a public-private partnership structure in which the government carries out planning and oversight activities and the private sector handles day-to-day operations. As with most public transport systems, cycle sharing systems generally require supplemental revenue sources to cover operating and investment costs. Revenue streams used in major cycle sharing systems around the world include annual and temporary membership fees, advertising, sponsorships, and on-street parking fee proceeds. Around 25–30 percent of trips in cities across India are performed using non-motorized modes — a practice which needs to be preserved and promoted, if urban development is to be sustainable. As a first step towards this objective, bike-sharing offers a promising solution. Public bicycle sharing systems can be introduced in the core areas of cities on a pilot basis. Based on the success of the pilots, they can be expanded to other areas of a city. For more information on bike-sharing in India, check out this Transforming Transportation 2013 conference presentation by Amit Bhatt, Strategy Head for Urban Transport at EMBARQ India.